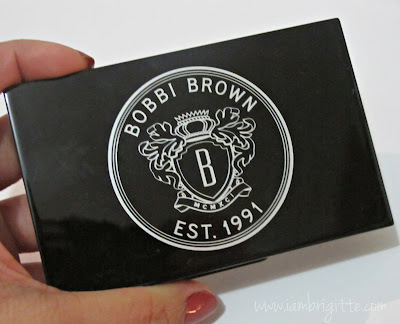 One brand that I always look forward to whenever they come up with palettes would be Bobbi Brown. I already have three: Bobbi-to-go, Pretty-in-a-box and the Beauty Rules. 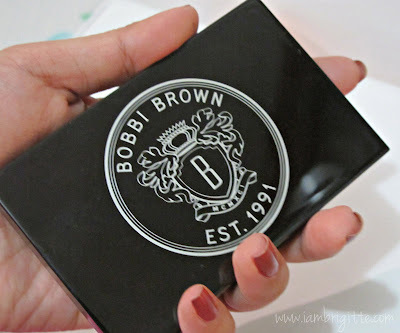 And then just before the holidays, our dear friends from Bobbi Brown gave me one of the palettes from their holiday collection...the Black Pearl eye palette. Ready for wrapping - our Black Pearl eye palette was made for party-luxe eyes. Six velvety-rich shades were handpicked to help you create dramatic smokey looks with mesmerizing shimmer (depending on how they're applied). Includes a mini-dual ended shadow/liner brush for precise application wherever you go. Like my other Bobbi Brown palettes, this one's also handy. 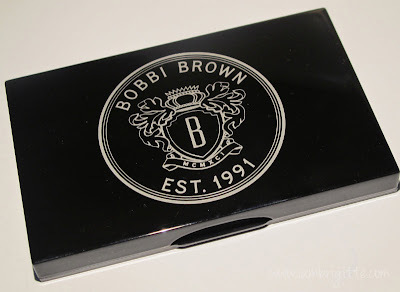 It comes in a black, glossy plastic packaging with a collegiate-type looking logo. If you're an OC (like me, at times! ), I'm sure you'd hate that you can see your fingerprints all over it. I remember wrapping a tissue paper around it once. LoL! What I love best about the packaging is that it comes with a big, clear mirror. Yeah, I am vain like that! and lookie, it comes with a small dual-ended brush too! I prefer regular-sized brushes though. White - pure, matte white. It's smooth but not that pigmented and can be a bit chalky. 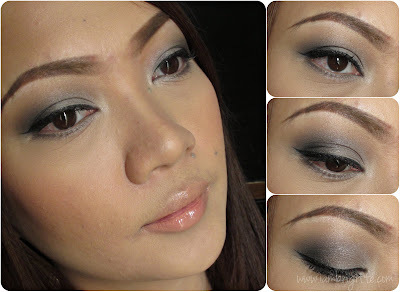 It's better to layer on and it fades when blended too much. I like using it under my brow bones to highlight. 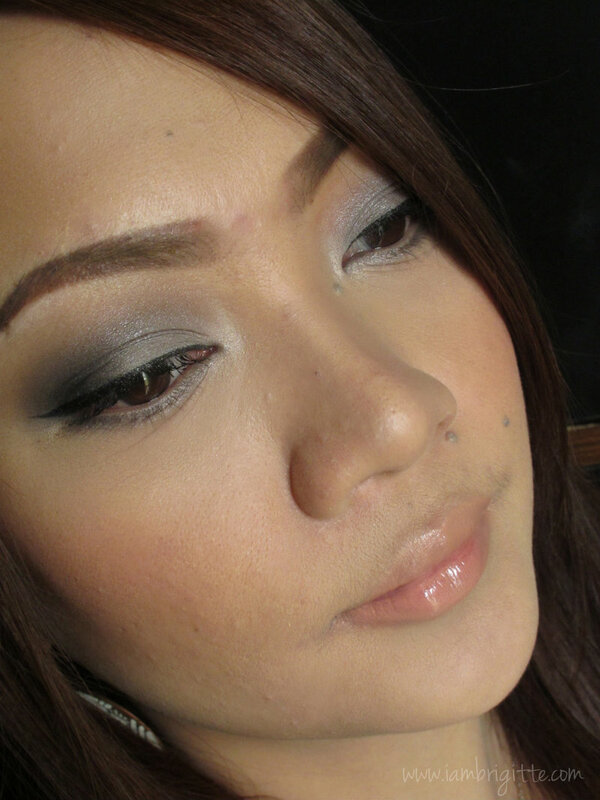 Tin - pale, metallic gray. Looks light on the pan but pigmentation is good. Black Velvet - shimmery, deep purple base with pink and silver glitter. Better to use a creamy base to avoid lots of fall out. Not as pigmented as it looks on the pan, but once you layer it on, it gives out a beautiful, unique color. Grey Denim - deep, matte neutral grey. 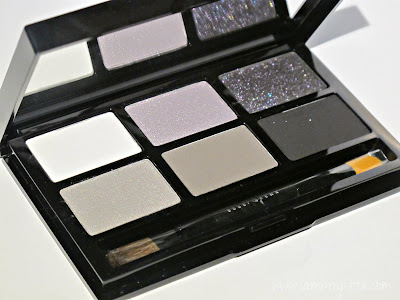 Pretty pigmentation, great to be used in defining your crease. 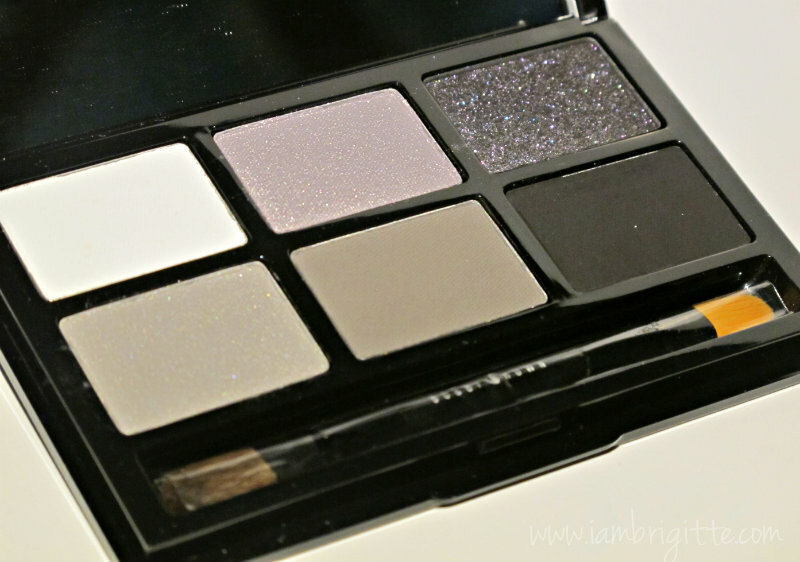 Black Pearl - matte, true black - a great black shade that's pigmented, easy to apply and blend. 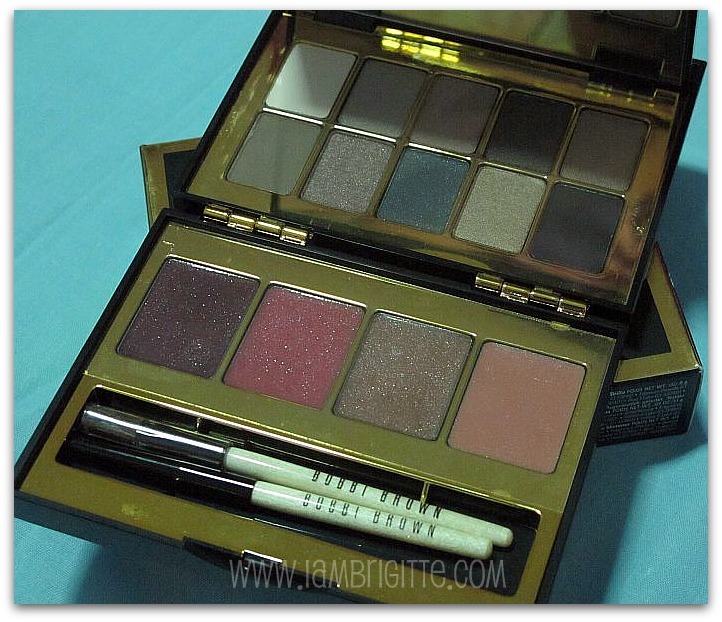 With this palette, you can definitely come up with a number of looks that can be worn either day or night. Take note that I didn't use any primer underneath and it pretty much stayed the whole day. There's a teeny-weeny bit of creasing, but it still looked okay. For those with really oily lids, better to use a primer first. 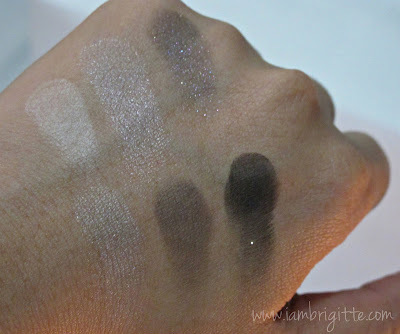 Again, you can use shades #2 and #4 as gorgeous lid washes, or use them with shade #5 for definition if you don't want to go too dark...or shade #6 if you want it to be more dramatic. Use #3 on top of the other shades to give your lids that unique, sparkly look and of course, shade #1 to give your eyes a pop by using them as highlighter on the inner corners of your eyes and/or under your brow bones. And yeah, the Black Pearl eyeshadow can double up as an eyeliner too! This palette is part of Bobbi Brown's 2012 Holiday collection, so grab this one if you're into smokey eye looks. This is limited edition so better hurry up!